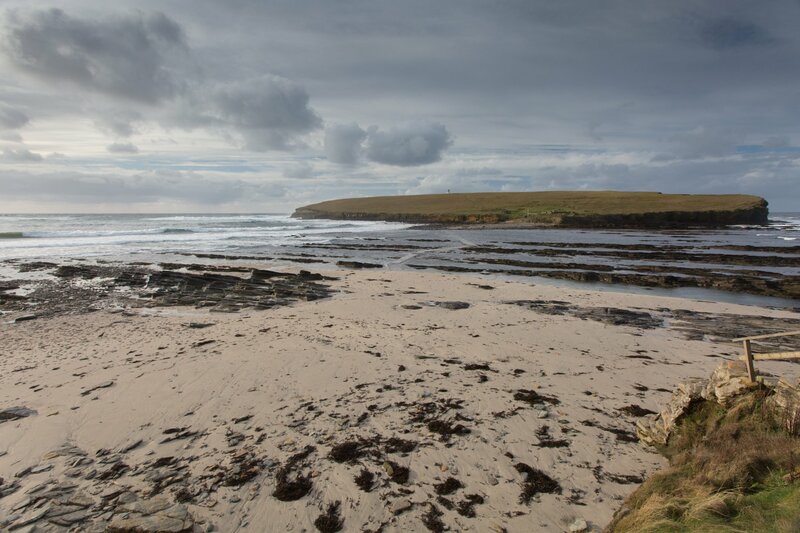 This beach can be found at one of Orkney's most unique locations, a tidal island that can only be reached at low water. 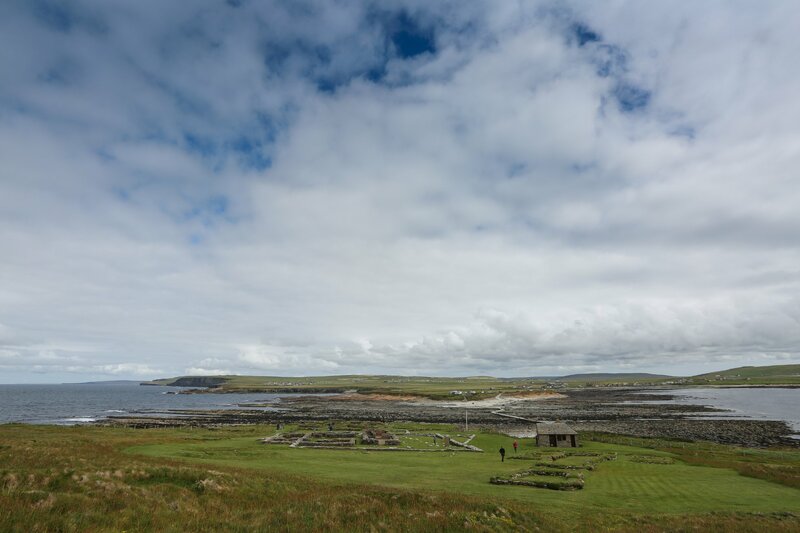 The Brough of Birsay itself is one of Orkney's most popular sites. 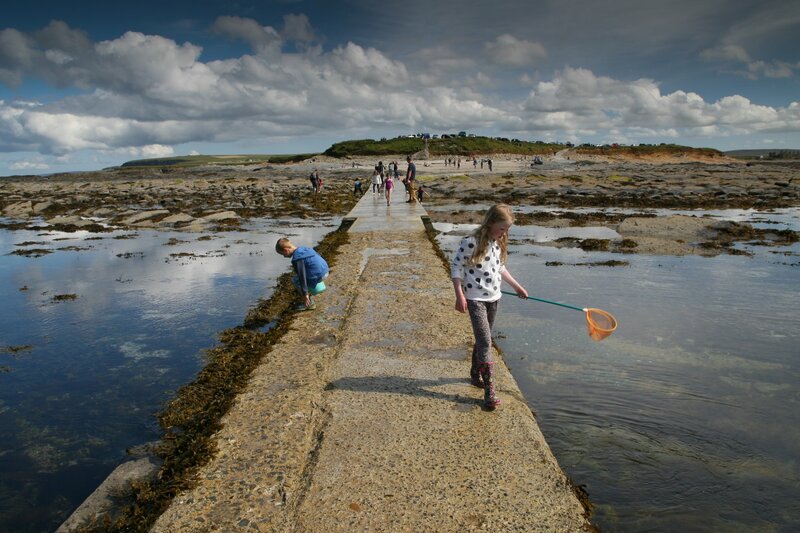 For only a few hours each day, when the tide is out, a concrete causeway is revealed, letting people cross to the Brough itself to see its historical remains, dramatic cliffs and puffins during the summer months. But if you arrive too early, you can always wait on the beach for the tide to recede. 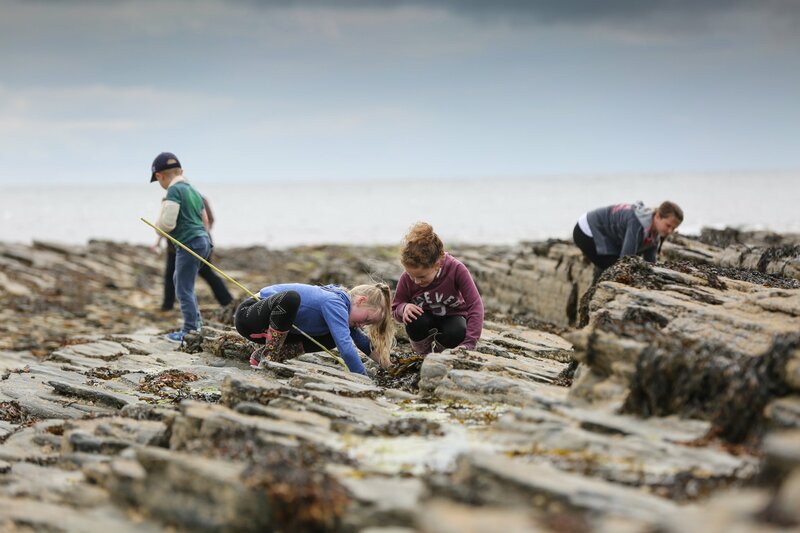 It's a lovely stretch of sand, full of shells to find and rockpools to explore. 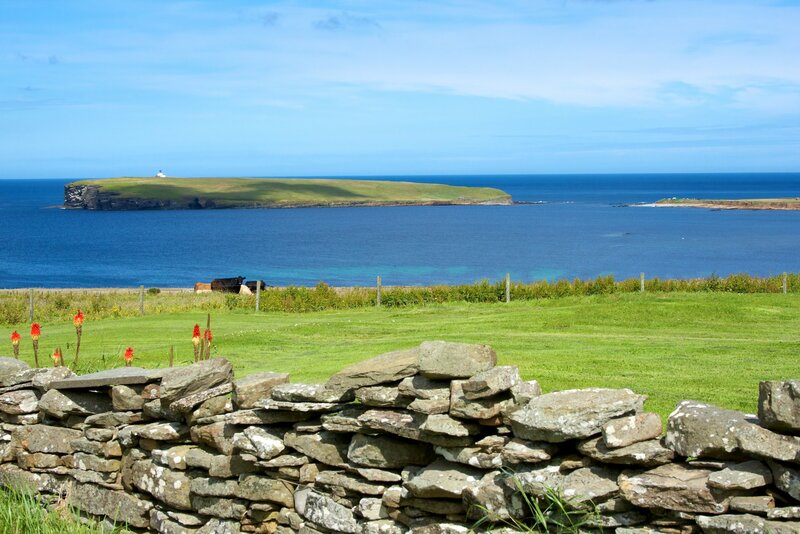 There's plenty of parking and only a few small steps down to the beach, with beautiful views over to the Brough and up and down the coastline of the west mainland. 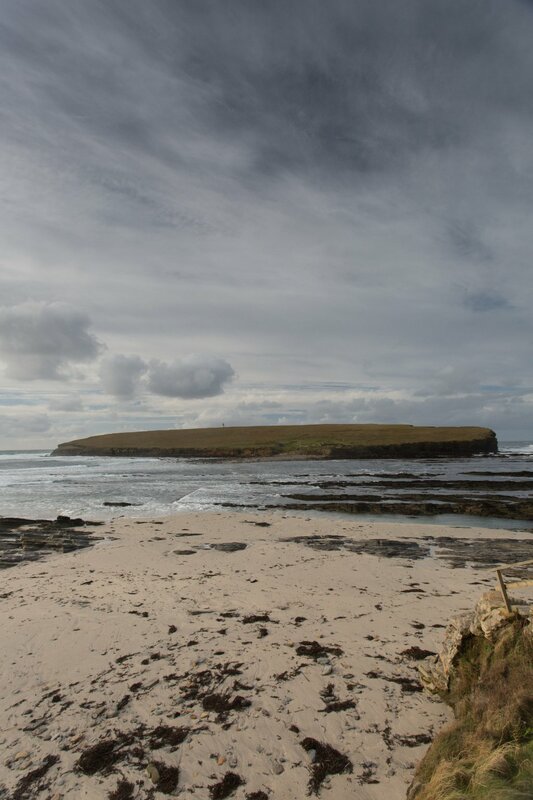 There is always a lovely walk north from the beach, taking in the rugged coastline, old fishermen's huts and the Birsay whalebone, which has been in place for more than a century.